As you know, many knitters and crocheters derive a great deal of pleasure giving their projects to others. It's one way we have to reveal our love and appreciation. For years our community has tirelessly donated its time to charity efforts and other projects including knitting clothing for needy children, crocheting scarves for soldiers or stitching afghans for the homeless. Most recently prayer shawl projects have become popular with knitters and crocheters of faith who have touched the hearts of those in need of physical or emotional healing. Out of the generous spirit of our community, the concept of the Friendship Shawl was born. Many of you already know I'm a passionate knitter. Several years ago, through my love of yarn and knitting, I became involved with Warm Up America! (WUA). For some time now I've been a proud supporter of their efforts. Now, it's my pleasure to introduce to you the new Warm Up America! Friendship Shawl. A Friendship Shawl is a hand knit or crocheted wrap that you personally create for someone you treasure. A shawl can be given to a good friend or family member to commemorate a special event, give moral support during a difficult time or to simply celebrate friendship. A Friendship Shawl can also be made for a stranger and donated through Warm Up America to nursing homes, hospitals and shelters. When someone wraps herself in it, she will think of how much someone cares. A Friendship Shawl is a symbol of warmth, comfort and community. It can be simple or intricate, rectangular or triangular, created from the most expensive yarn or from the most modest. What is important is that it is hand created with love for someone else you deeply care about or for someone in need. This new website will serve as an online community meeting place for knitters and crocheters who want to create Friendship Shawls. I want to personally invite each and every one of you to join in. There will be free patterns, information about personalizing the shawls, links to helpful sites and an explanation of pattern stitches appropriate for shawls. Most importantly, the site is for you and about you. 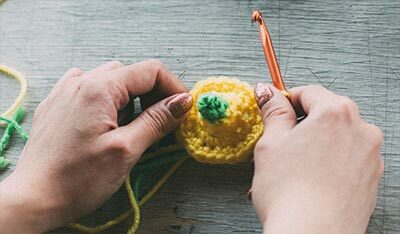 You'll be able to share stories and photos, reach out to others in your area who may want to form a Friendship Shawl group, enjoy the company of other knitting and crochet fans and find a community of like-minded enthusiasts. I hope you enjoy exploring the site and visit often. Debbie Macomber has become one of the best-loved authors in America. She has written more than 150 novels, nine of which hit all three bestseller lists — The New York Times, Publishers Weekly and USA Today. 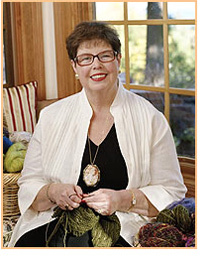 The recipient of RITA and the first-ever Quill Award for romance fiction, Debbie won the heart of knitters and crocheters with her books centered on knitting themes. Her first "knit-lit" novel was The Shop on Blossom Street, which was followed by A Good Yarn. Her most recent release is entitled Back on Blossom Street. As her readers know, she's an avid knitter. What they might not know is that Debbie is a strong supporter of charitable causes — she has served on the Board of the Warm Up America! Foundation since 2005 — and she is a woman of determination and deep faith. 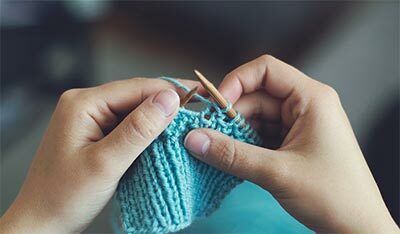 In another recent book entitled Knit Together, her first ever non-fiction, Debbie uses knitting to weave together her own story of faith, perseverance and purpose. Find out more about Debbie at www.debbiemacomber.com. © 2007 Warm Up America! Foundation. Friendship Shawl logo design: Amy Vaughn.